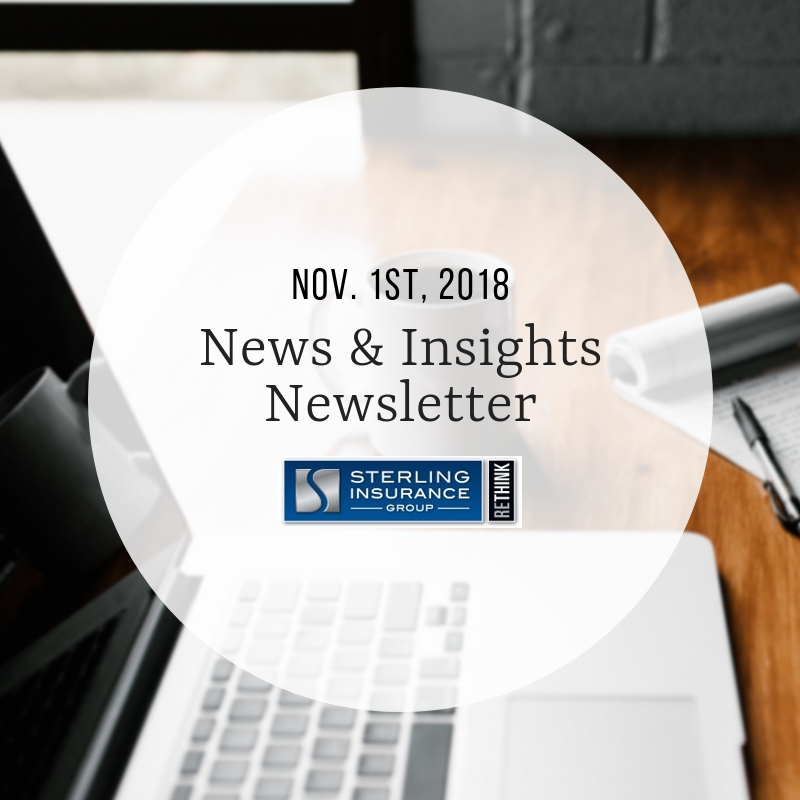 This newsletter was sent to Sterling Insurance Group clients and friends on Thursday, Nov. 1st, 2018. Want to get this bi-weekly newsletter in your inbox? Email Joan Giffels (jgiffels@sterlingagency.com) today to be added to our mail list. 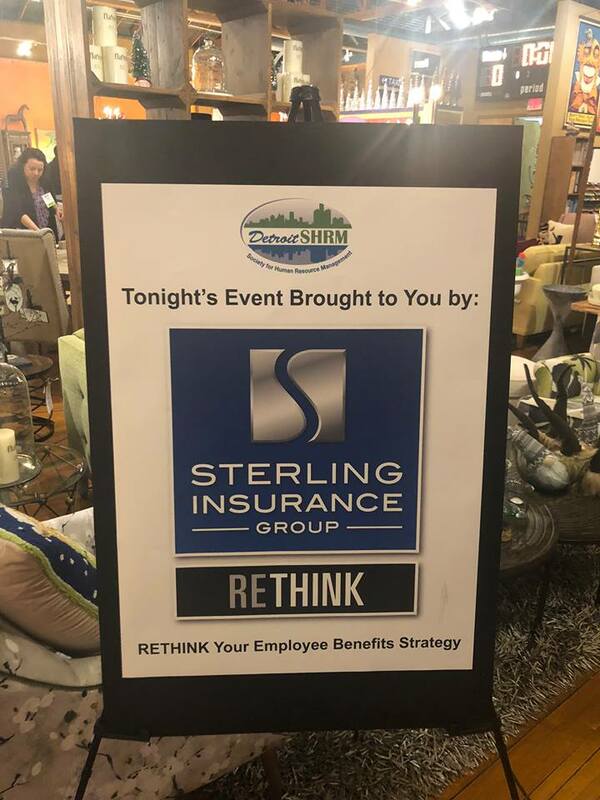 Sterling Insurance Group was the sponsor of a Detroit Society of Human Resource Management (SHRM) event recently in Clawson, MI. Thanks for joining us to toast Halloween with fellow Society of Human Resource Managers & Sterling! Sterling hosted its annual Pumpkin Carving Competition this year in the office. Check out this years fun entries: click here. Thanks to all who participated! Sterling has hired Brad Richards – Senior Employee Benefits Consultant to its Employee Benefits Production team. Brad brings and impressive track record of success with him to the Sterling family. Read more about his background: click here. Welcome, Brad! Cool place to work: Sterling’s annual Halloween Costume Contest was better than ever this year! Flip through office costumes from Halloween day: click here. We hope everyone had a safe and fun #Halloween2018! In the News: Sterling Insurance Group was recently appointed to the exclusive Partners for Success program of Amerisure Insurance. It is an honor! Read more about this achievement: click here. Did you hear? Sterling was named one of the 50 Most Admired Companies by Silicon Review Magazine. We’re thrilled! Read more about this incredible honor: click here. In the community: Sterling was proud to be featured in DBusiness Magazine recently. Click here to see how we made a splash! Happy Boss Day! The team at Sterling put together a spread of gifts and homemade food on Tuesday, October 16th to say “thank you” to our wonderful leadership on National Boss’s Day. Click here for photos. Encouraging lifelong learning: Business Insurance staff at Sterling recently underwent continued education courses covering Cyber Liability insurance and Directors & Officers insurance. View photos: click here. Sterling recently opened doors to its newest location: Detroit, MI. Find our new office in the GM world headquarters, the Renaissance Center. Stop by and see us today for all your Personal Insurance needs! Learn more: click here.